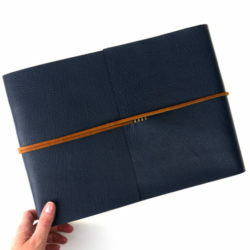 Mini Leather Journals are great when you want to give a premium quality gift but have a very specific budget in mind! 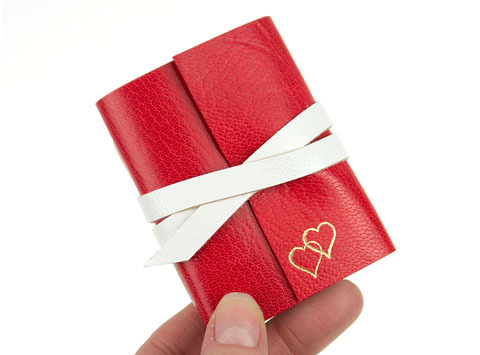 Available in a range of colour ways for birthdays, Christmas and even as alternative Hallowe’en trick or treat and Easter egg gifts, this particular Mini Journal is embossed with Gold entwined hearts and a romantic inscription on the title page. 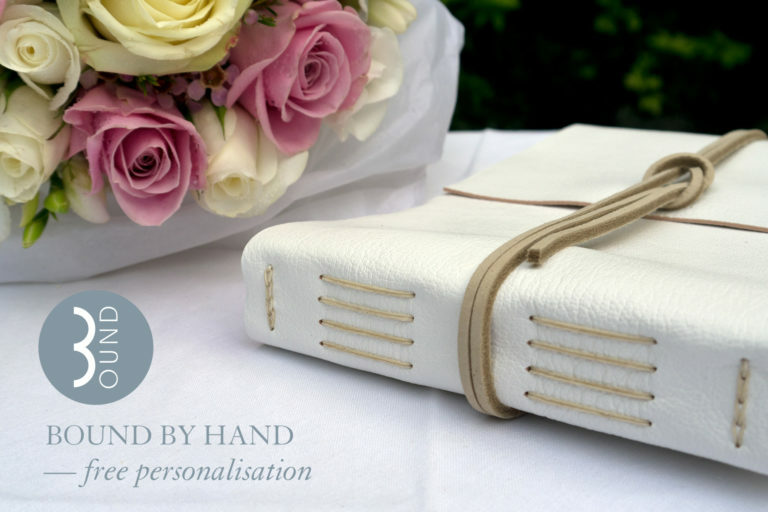 Guest Books provide an elegant finishing touch for weddings throughout the year, and make ideal engagement gifts for the happy couple to collect messages of love and support. 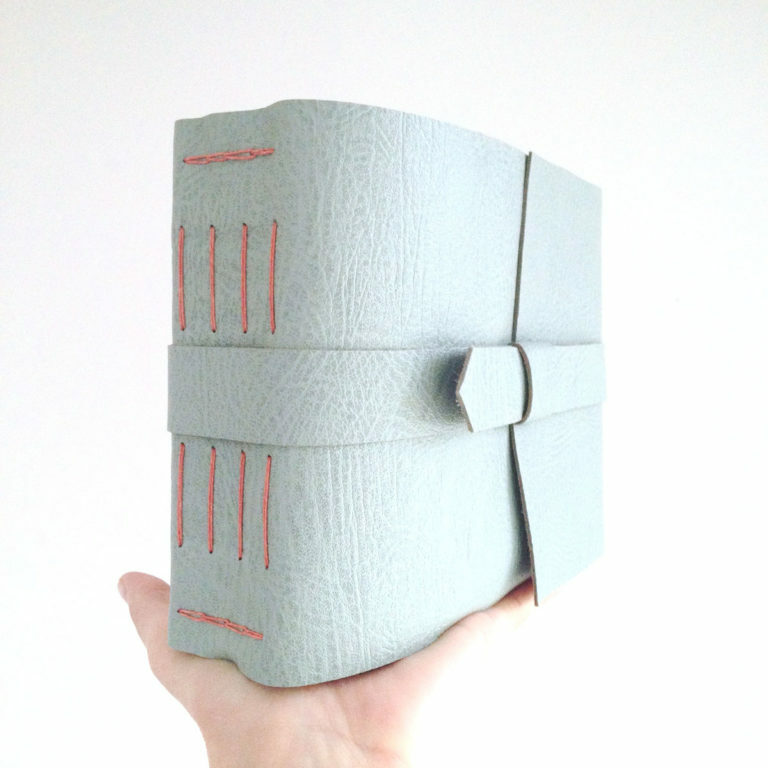 Traditional meets contemporary in this tactile Journal or Artist’s Sketchbook with integrated penholder and 128 pages of cartridge paper for all dry-medium artwork and writing. 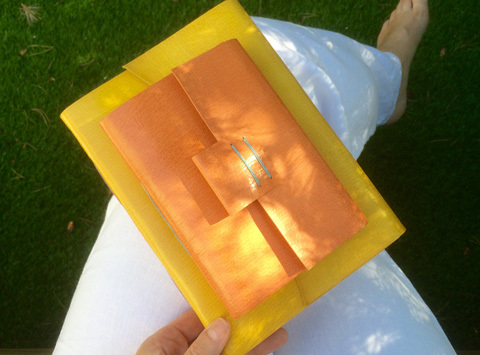 Bound in Duck Egg calfskin with Coral stitching, a beautiful pastel palette that’s an ideal engagement gift. It can be used as a wedding planner, or combined guest book and photograph album.